A few years back, I realized that the makeup I used was full of toxic ingredients. Perhaps not at the level of toxicity that would kill me instantly, but the ingredients were harmful enough that I didn’t want to risk anything even if I wouldn’t notice for another twenty years. I have long since switched to natural makeup. When I go looking for a new natural product, I like to make sure it’s as close to perfectly natural as possible. I mean isn’t that the point of making the switch in the first place; to avoid harmful ingredients? I found a nice brand of natural makeup and I still use it for most of my makeup needs. However, when I ran out of the natural face powder I decided I needed to look into making my own as that stuff was expensive! 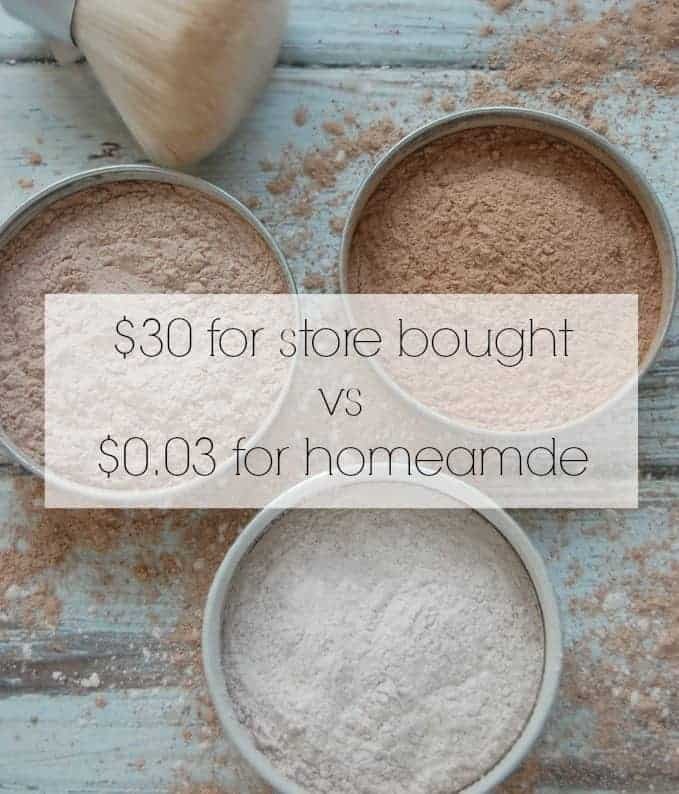 I couldn’t afford to spend $30 just on one thing of face powder and even if I could, I would rather save that money to use elsewhere. This led me to homemade natural face powder. I love making my own makeup. It’s so easy to make and costs me next to nothing. I know that the ingredients are all natural and not harmful because I’m the one making the product! 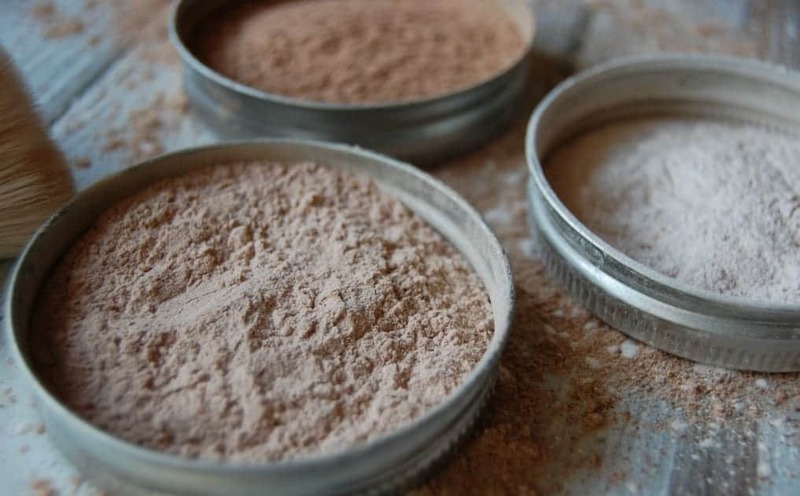 Homemade natural face powder is one of the easiest makeups to make! Just three ingredients and suddenly you’ve made your own face powder for practically pennies! What are the three ingredients in this face powder? This is the safer version of cornstarch. Not that cornstarch is horribly unsafe but it can pose allergy issues and is often made from GMO’s, thus I prefer to use arrowroot over cornstarch but the two are interchangeable. 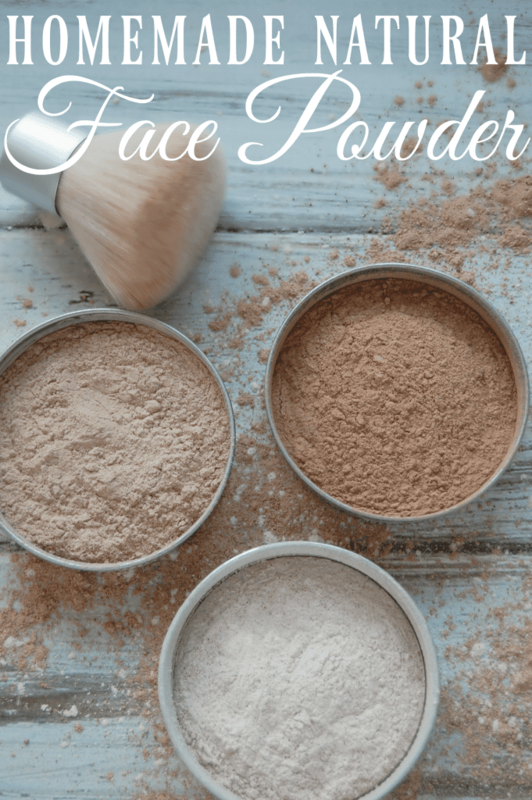 Arrowroot powder helps make your skin soft and silky and it is the base of this homemade natural face powder. Not only does cocoa powder act as the main coloring ingredient in this DIY but it’s also beneficial for your skin! Cocoa powder contains antioxidants which helps heal and repair any skin damage. This spice does provide a tiny bit of coloring but the reason I love adding cinnamon to my face powder is because it’s helpful for acne. It’s also a natural skin plumper which I’ll admit didn’t strike me as an amazing trait but then I realized that means that it helps diminish fine lines and wrinkles! Mix well, use the back of a spoon to break up any cocoa powder clumps. Start out with the shade closest to your skin tone but to get a perfect match you may need to add more cocoa powder or cinnamon. Transfer to a clean jar or old compact container. Lightly apply to a makeup brush and apply as you would normally. Go lightly however, as this is a loose powder and you do not need much. Additionally you can add in a bit of cinnamon and/or nutmeg. These two ingredients can boost the glow and depth of the face powder. Mix all ingredients well; you do not want any clumps. Transfer to a clean jar or old compact container. Note: Cinnamon can be a common face irritant so if you wish to use it, I recommend doing a test patch first. Need more DIY makeup ideas? Check out my DIY natural blush! What exact quantities did you use of each? I'm a pretty fair skinned gal, so any info you can give would be much appreciated! What I usually do is start with 1-3 tbs of arrowroot and then add in the cocoa powder at 1/8 tsp at a time. Mix in between each 1/8 tsp till it looks about right. The cinnamon and nutmeg, I add at the end and just a sprinkle of each. 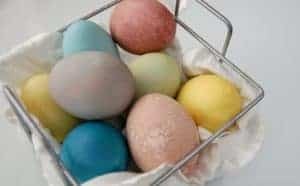 A sprinkle doesn't change the color much so it's easy to add more if needed without ruining a whole batch of powder. If I click on the link in your post, do you get credit for it if I order something? Or do I need to do something when I check out? 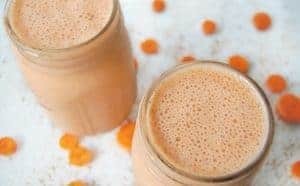 I’m on the 100% Pure website and am pretty excited about their products! And the price is comparable to what I currently spend. Hi, this is such an interesting idea and I want to try it out! And when I do, I want to be able to tell my friends! So… how long can you keep a batch of this powder before… it’s considered “expired”? Thanks for the recipe. Good question! Since this is a dry powder it should last 6-12 months. It is better to make in small batches so that you can use it up quickly so a 6 month batch would be preferred over a 12 month batch. I was wondering if you could use dried mushrooms like reishi or even on some trees you can see that part of the bark has been transformed into a powder form. I did find some that had an interesting color. But maybe this is too extreme.. Personally I don’t use make up but find alternative solutions interesting. I am thinking of starting to use make up though. Thanks for your interesting posts. Just landed on your page today, glad I found it! That IS an interesting idea! I’ve not really worked with reishi or thought about using bark powders… I imagine they would work so long as they didn’t irritate the skin. If you give it a try, let me know how it works! Is this to wear over a foundation or to wear alone? I’ve been wearing Neutrogena powder foundation, and I’m trying to find something hypoallergenic I can make myself. This is to wear over a foundation (or concealer). You could try to use it by itself but it will not provide any real coverage. 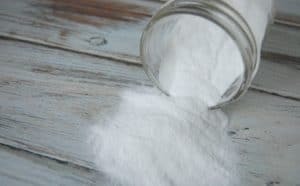 Can I use tapioca flour? Is it the same? You can definitely try tapioca flour. I haven’t compared it to arrowroot (or cornstarch) but it might work. Hi. How good is the coverage? It’s more of a finishing powder than a foundation, so the coverage is very light.